Charles Clarence KUNKEL [Parents] was born on 26 Jul 1904 in Columbus, Franklin, Ohio. He was christened on 21 Aug 1904 in Columbus, Franklin, Ohio. He died on 19 Jul 1992 in St. Mary's Hospital, Livonia, Wayne, Michigan from Congestive Heart Failure. He was buried in Holy Sepulchre Cemetery, Southfield, Wayne, Michigan. Charles married Mary Catherine CENCER on 4 Aug 1925 in Detroit, Wayne, Michigan. Mary Catherine CENCER was born on 5 Jan 1903 in Nagyszentmiklos, Trontal, Hungary. She died on 18 Dec 1997 in Livonia, Wayne, Michigan. Mary married Charles Clarence KUNKEL on 4 Aug 1925 in Detroit, Wayne, Michigan. Dorthey Lee KUNKEL was born in Feb 1929 in Detroit, Wayne, Michigan. She died in Jul 1930 in Detroit, Wayne, Michigan. M vi Charles Thomas "Tom" KUNKEL was born on 19 Feb 1942. He died on 18 Nov 2006 from Mega Karyoblastic Leukemia. 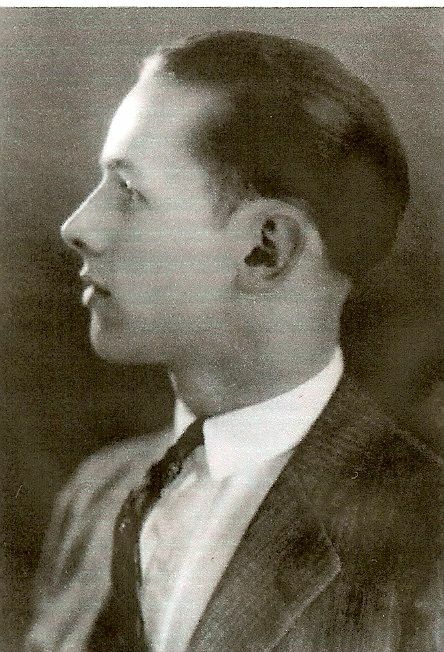 Vincent Edward KUNKEL [Parents] was born on 4 Dec 1905 in Columbus, Franklin, Ohio. He died on 1 Apr 1964 in , , Michigan. Vincent married Josephine Marie WHOLIHAM on 1 Apr in Bloomfield Hills, , Michigan. Josephine Marie WHOLIHAM was born on 31 Oct 1909 in , , Michigan. She died on 28 Sep 2002 in Dearborn, Wayne, Michigan. Josephine married Vincent Edward KUNKEL on 1 Apr in Bloomfield Hills, , Michigan. Frank Carlisle DIMOCK was born on 19 Feb 1904 in Windsor, Nova Scotia, Canada. He died on 3 Mar 1966 in Detroit, Waybe, Michigan. Frank married Dorothy Louise KUNKEL on 19 Sep 1928 in Detroit, Waybe, Michigan. Dorothy Louise KUNKEL [Parents] was born on 25 Feb 1910 in , , Michigan. She died on 21 Dec 1934 in , , Michigan. Dorothy married Frank Carlisle DIMOCK on 19 Sep 1928 in Detroit, Waybe, Michigan. Edward Magnus EMMERT was born on 6 Sep 1877 in Zanesville, Muskingum, Ohio. He died on 7 Dec 1972 in Zanesville, Muskingum, Ohio. Edward married Mary Florence HOLLINGSWORTH on 1 Jun 1903 in Zanesville, Muskingum, Ohio. Mary Florence HOLLINGSWORTH [Parents] was born on 22 Aug 1881 in Zanesville, Muskingum, Ohio. She died on 11 Apr 1964 in Mark Rest Center, McConnelsville, Ohio. Mary married Edward Magnus EMMERT on 1 Jun 1903 in Zanesville, Muskingum, Ohio. M i Robert John EMMERT was born on 8 Feb 1904. He died on 27 Apr 1989. F ii Mary Louise EMMERT was born on 23 Jan 1905. M iii Edward Joseph EMMERT was born on 12 Mar 1907. He died on 10 Feb 1991. Constance EMMERT was born on 6 Jun 1910 in Zanesville, Muskingum, Ohio. Robert John EMMERT [Parents] was born on 8 Feb 1904 in Zanesville, Muskingum, Ohio. He died on 27 Apr 1989 in Zanesville, Muskingum, Ohio. Robert married Helen Louise QUILAN. Helen Louise QUILAN was born on 1 Sep 1906 in , , Ohio. She died on 18 Nov 1988 in Zanesville, Muskingum, Ohio. Helen married Robert John EMMERT. GRELICH. GRELICH married Mary Louise EMMERT. Mary Louise EMMERT [Parents] was born on 23 Jan 1905 in Zanesville, Muskingum, Ohio. Mary married GRELICH. Edward Joseph EMMERT [Parents] was born on 12 Mar 1907 in Zanesville, Muskingum, Ohio. He died on 10 Feb 1991 in Zanesville, Muskingum, Ohio. Edward married Adelaid Barbara ARCHER on 5 Apr 1929 in Zanesville, Muskingum, Ohio. Adelaid Barbara ARCHER was born on 14 Sep 1906. She died on 7 Sep 1966 in Zanesville, Muskingum, Ohio. Adelaid married Edward Joseph EMMERT on 5 Apr 1929 in Zanesville, Muskingum, Ohio. John L. HOLLINGSWORTH [Parents] was born on 2 Jan 1847 in Zanesville, Muskingum, Ohio. John married Leila GRAVES. Leila GRAVES. Leila married John L. HOLLINGSWORTH. Louis H. DENNIS was born on 12 Aug 1848 in Somerset, Perry, Ohio. He died on 17 Nov 1916 in Zanesville, Muskingum, Ohio. Louis married Mary J. HOLLINGSWORTH on 30 Nov 1871 in Zanesville, Muskingum, Ohio. Mary J. HOLLINGSWORTH [Parents] was born in Sep 1852 in Zanesville, Muskingum, Ohio. She died on 11 Feb 1918 in Zanesville, Muskingum, Ohio. Mary married Louis H. DENNIS on 30 Nov 1871 in Zanesville, Muskingum, Ohio. Mary DENNIS was born in Oct 1872 in Zanesville, Muskingum, Ohio. She died in Apr 1937 in Zanesville, Muskingum, Ohio. Sherwood E. DENNIS was born about 1874 in Zanesville, Muskingum, Ohio. He died on 15 Mar 1964 in Zanesville, Muskingum, Ohio. Lydia Rose DENNIS was born on 2 Mar 1876 in Zanesville, Muskingum, Ohio. She died on 6 Jan 1955 in Columbus, Franklin, Ohio. Lillie DENNIS was born about 1876 in Zanesville, Muskingum, Ohio. Harry J. DENNIS was born about 1878 in Zanesville, Muskingum, Ohio. He died on 8 Feb 1942 in Columbus, Franklin, Ohio. Margaret Ann DENNIS was born in May 1880 in Zanesville, Muskingum, Ohio. She died on 13 Jul 1880 in Zanesville, Muskingum, Ohio. Louis E. DENNIS was born in Mar 1884 in Zanesville, Muskingum, Ohio. He died on 3 Apr 1940 in Zanesville, Muskingum, Ohio. Helen DENNIS was born about 1887 in Zanesville, Muskingum, Ohio. She died on 13 Nov 1953 in Columbus, Franklin, Ohio. John S. DENNIS was born on 16 Oct 1888 in Zanesville, Muskingum, Ohio. He died on 13 Aug 1950 in Zanesville, Muskingum, Ohio. George Antinus DENNIS was born on 10 May 1891 in Zanesville, Muskingum, Ohio. He died on 20 Sep 1975 in Zanesville, Muskingum, Ohio. Dorothy DENNIS was born on 2 Jul 1894 in Zanesville, Muskingum, Ohio. She died on 19 Feb 1976 in Zanesville, Muskingum, Ohio. Edward J. HOLLINGSWORTH [Parents] was born on 1 Mar 1854 in Zanesville, Muskingum, Ohio. Edward married Maggie KERNER. Maggie KERNER. Maggie married Edward J. HOLLINGSWORTH. Mary HOLLINGSWORTH was born in May 1883 in , , Ohio. Pearl H. HOLLINGSWORTH was born in Feb 1887 in , , Ohio. Max HOLLINGSWORTH was born in Dec 1889 in , , Ohio. Joseph J. HOLLINGSWORTH was born in May 1894 in , , Ohio.